Valid in all Skin Philosophie stores. 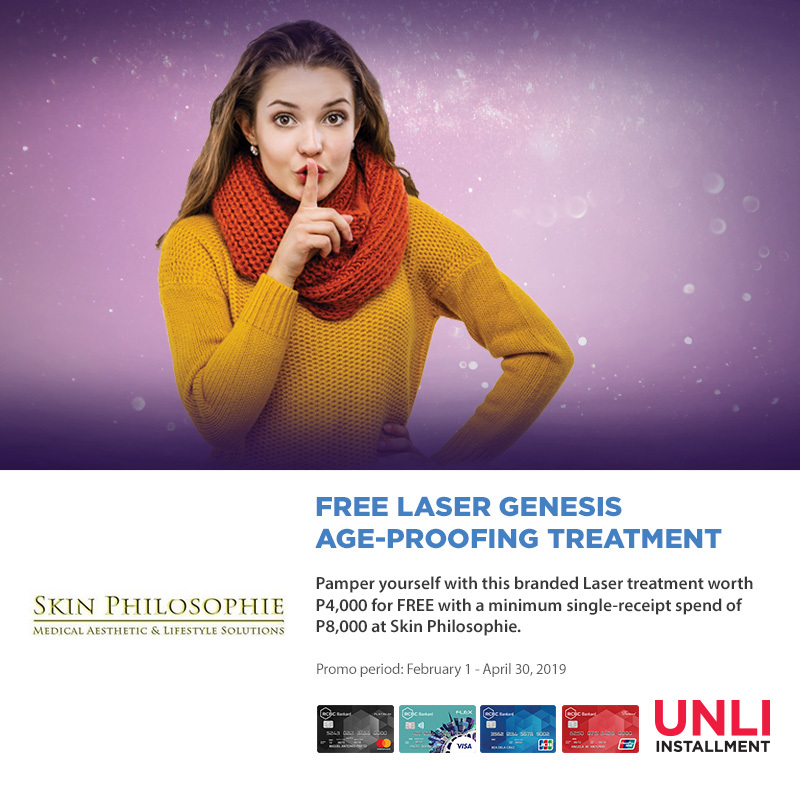 To avail of the Free Laser Genesis Age-Proofing Treatment (worth P4,000), cardholder must use his/her RCBC Bankard credit card to pay for his/her bill for a minimum single-receipt purchase of P8,000 at Skin Philosophie. Promo is valid in conjunction with existing promotional offers of Skin Philosophie. Enjoy longer payment terms of up to 36 months with a very minimal add-on rate for every straight purchase you convert. 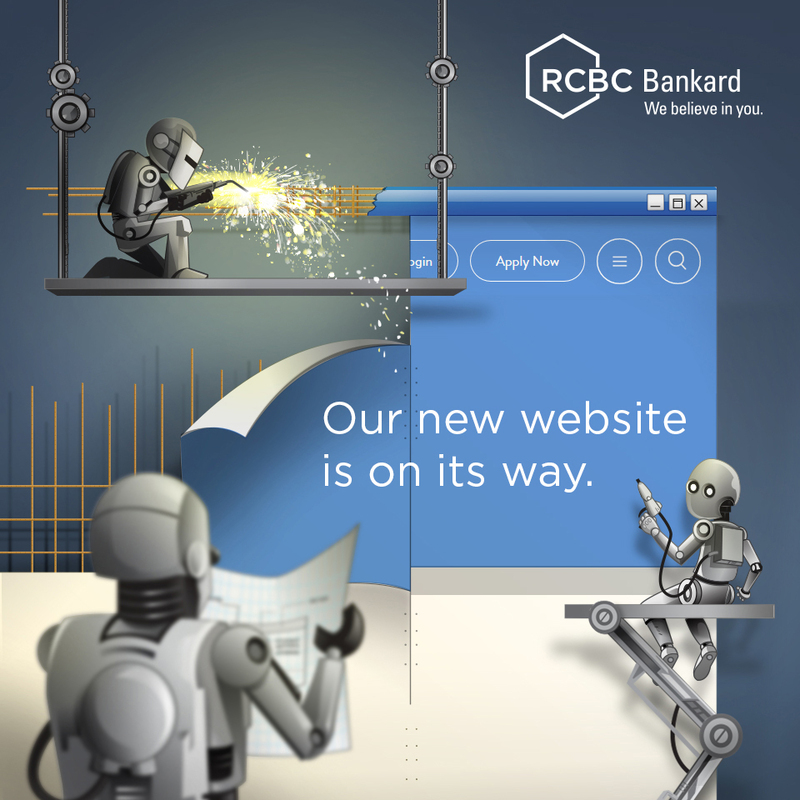 To avail, simply call RCBC Bankard’s Customer Service hotline at 888-1-888 and request for a conversion of your purchases to Unli Installment at any of the available terms 12, 18, 24 & 36 months.